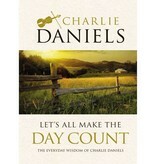 Learn how you can make your day count from the encouraging and inspiring Charlie Daniels. Charlie has written a song for Elvis, played on a Bob Dylan album, toured the country for decades, and delighted fans around the world with his fiddle playing and signature hit song "The Devil Went Down to Georgia." More important, he’s dedicated his life to helping others, including children, troubled teens, and veterans. 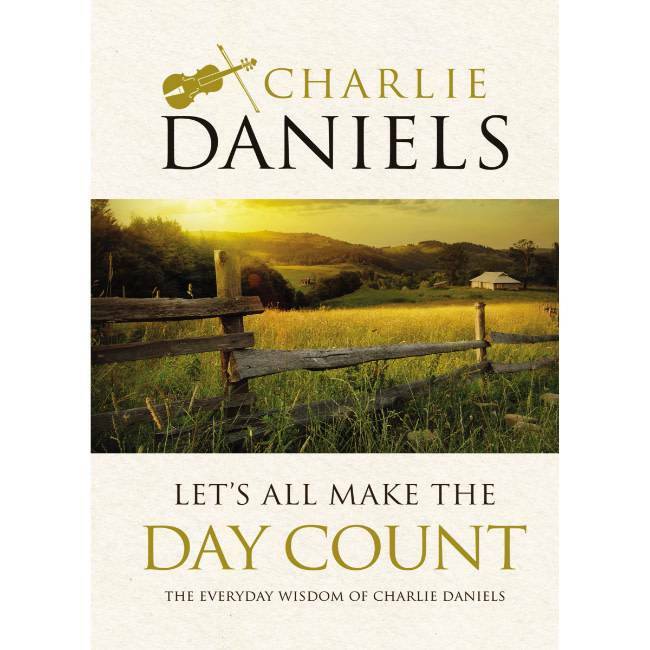 Join Charlie as he shares many of the things he has learned over the years and be encouraged and empowered by his new book, Let's All Make the Day Count. The book includes 100 readings with Bible verses and clever and pithy "Let's All Make the Day Count" statements. Charlie will inspire you with his positive attitude, timeless wisdom, and powerful spirit. Let's All Make the Day Count imparts Charlie’s positive attitude, timeless insight, and powerful spirit, and it will encourage and inspire you to make your day count.